SINGAPORE: Private home prices rose 3.4 per cent in the second quarter of this year, according to the latest figures from the Urban Redevelopment Authority (URA) on Friday (Jul 27). This continues a rising trend in the last three consecutive quarters, with prices rising 3.9 per cent in the first quarter of this year, 0.8 per cent in the preceding quarter and 0.7 per cent in the third quarter of last year. Singapore — Two weeks after the cooling measures were announced, the appetite is still strong for new launches. About 3,000 potential buyers flocked to the preview of The Tre Ver condominium on Saturday. Wendy Wong finds out how the private home market has been fairing and what this means for buyers. SINGAPORE: Sales of new private homes slumped 20.2 per cent year-on-year in June, according to data released by the Urban Redevelopment Authority (URA) on Monday (Jul 16). Excluding executive condominiums (ECs), developers sold 654 private homes in June compared with 820 units in the same month last year. This was also a 41.7 per cent decrease from the 1,122 private homes sold in May – a nine-month high fuelled by a deluge of new launches. Including ECs, 706 units were sold in June, a drop from the 1,259 sold the previous month and 1,064 homes sold in June last year. 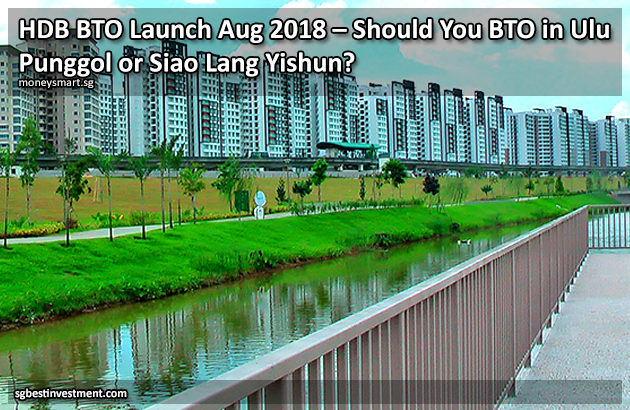 HDB BTO Launch Aug 2018 – Should You BTO in Ulu Punggol or Siao Lang Yishun? Singapore — BTO shopping? You’re in luck. The August 2018 HDB BTO launch is coming and they’re in 2 of Singapore’s favourite estates – Punggol and Yishun! What a tough choice, eh? Should you go for Yishun (homeland of siao langs) or Punggol (number one killer of friendships in Singapore)? On the face of it, the two BTO developments might not seem that different. Both are in non-mature estates and quite far from town, and prices should be about the same. But when it comes to actually buying a home and living there… things are a bit different. Let’s deep dive into the upcoming BTO launches in two of Singapore’s dream districts. The living is easy in this impressive, generously proportioned contemporary residence with city view, located within a level stroll to the Kallang Park. The home encompasses three spacious bedrooms with plenty of room for your needs, a warmly dining room and a kitchen to nourish your growing family. Perfect for a family, this home is ideally positioned to enjoy the proximity to the city, cafes and restaurants, shopping centre, and a selection of premier schools. The 114 Lorong 3 Geylang. Welcome to your new home. It won’t be easy to click out of holiday mode in this stylishly contemporary residence for the pleasure-seeker. The cool, calm and sophisticated youthful edge, this home is nestled in light and comfort while creating a style as timeless as the farmway view. The calming greenery will help you dismiss your city stress. The 403B Fernvale Lane. Welcome to your new home. This immaculate HDB apartment is set amongst the well-desired neighborhood of Bedok Town Centre. You start your new life with access to lifestyle amenities including a malls, sports complex, food courts, groceries, MRT & bus interchange, schools, and places of worship. The generously proportioned interior flows effortlessly from the luxurious living space to the homely kitchen with a surprise for growing family. With its warm sense of community, this home provides all the elements for relaxing, comfortable and easycare living. The 218 Bedok North Street 1. Welcome to your new home.